We know what counts when it comes to translating e-learning courses. Not just consistently high quality at a low price, but also one thing in particular: reliability. Do you need to translate your e-learning courses into a number of different languages as quickly as possible? Then you can count on us. Together with our 36 exclusive translation partners worldwide, we localize your content professionally and reliably in over 40 languages. You get everything from a single source – saving you time, money, and frustration. Several hundred e-learning projects and many satisfied customers over more than two decades prove: you can expect the extraordinary from us – and entrust us with even your most demanding projects in good conscience. smartspokes is different from many other translation agencies. We do not work with thousands of freelancers. We rely on 36 exclusive translation partners worldwide – which we coordinate centrally from Böblingen, near Stuttgart, in Germany’s industrial heartland. What does this mean for you? You have one dedicated contact person for all languages. And a consistently high level of translation quality. Our partners are located in the respective target country and employ salaried translators and proofreaders who are native speakers of the local language. This means your translation is produced in the specific country where it is needed – placing it in the best of hands. Thanks to our global network, we can localize your e-learning content for multiple markets concurrently. That saves time and money. 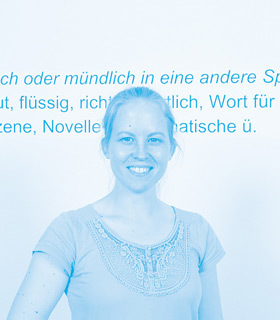 No matter how many languages you need or how ambitious your goals are – ask us about it. “Made in Germany” from Baden-Württemberg is renowned around the world for its quality. We are committed to upholding this reputation. A high-quality translation is easy to read, easy to understand, and not identifiable as a translation by the target audience. That is the standard we follow. Customer-focused, proactive, creative – at smartspokes, we give you individual support. We develop a custom-tailored solution for each customer. That is our investment in a long-term working relationship. Whether it involves the international launch of a new product or the timely delivery for a crucial trade show, translation customers need one thing above all: reliability. We keep our promises. Guaranteed. We changed our name to smartspokes in 2013. Why did we choose this name? With the term “smart”, we want to indicate that we have – or can find – a smart solution for every e-learning project. The spokes symbolize our global network of partners, as in the spokes of a wheel. XTRA has stood for quality for more than two decades. 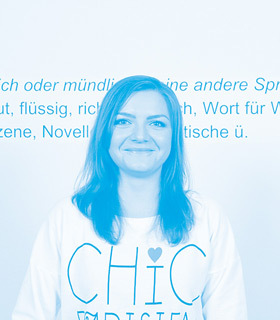 That’s why we kept this trusted company name as the brand for our translations into German. Our company is headquartered in Böblingen, south of Stuttgart, making us a neighbor of major corporations such as Daimler, Hewlett-Packard, IBM, and Philips. The Böblinger Software Center in the Hulb industrial estate is also home to some 100 small and medium-sized software companies. Would you like to discuss your e-learning project with us in person? 1993 Stefan Lampert founds XTRA Translation Services GbR, a partnership. His vision: offer a combination of translation and technology expertise to the IT sector. Major corporations soon discover this recipe for success. 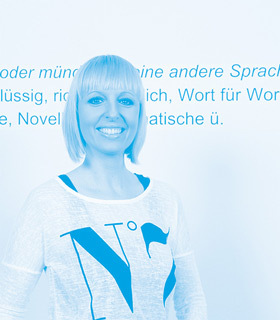 XTRA becomes a preferred supplier to IBM and HP for translations from English to German. 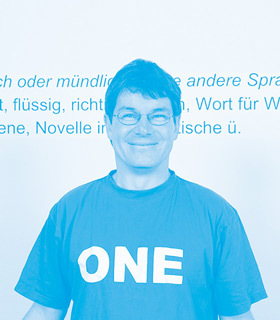 Starting in 1999, IBM also hires XTRA for e‑learning projects for the German market. At the start of the new millennium, XTRA changes its company form to a GmbH, the German limited liability company, and begins to expand its language spectrum. The USP: XTRA relies on exclusive translation partners in other countries. This ensures that translations are of consistently high quality. Prominent IT corporations such as EMC, ORACLE, and SAP join the list of XTRA clients. 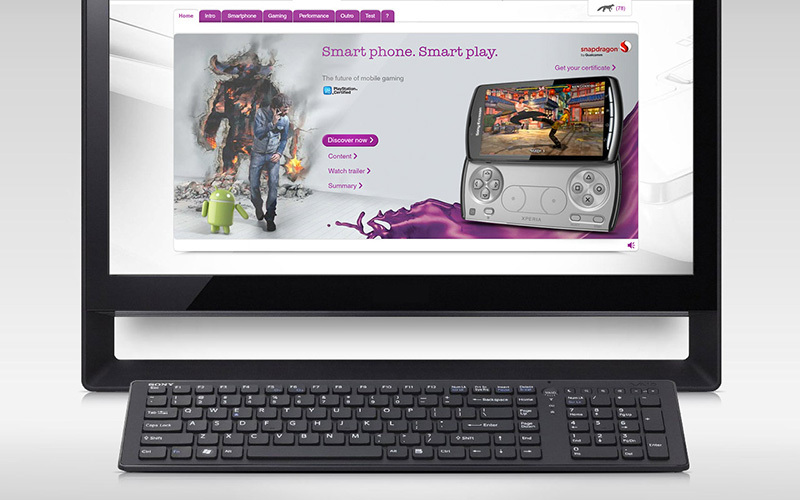 The localization of e‑learning courses becomes an important mainstay: XTRA translates e-learning courses for Sony Ericsson into up to 29 languages, for example. 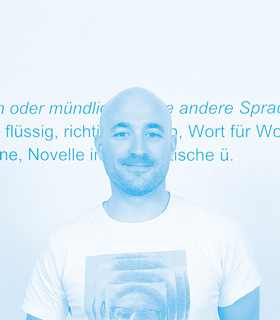 As part of a tender for e-learning projects from IBM Global Services, Stefan Lampert decides to change the company form again: XTRA becomes SMARTSPOKES AG, an international partner network that is specialized in the translation of e‑learning courses. The business model proves attractive: smartspokes becomes a preferred partner to IBM for multilingual e‑learning projects. 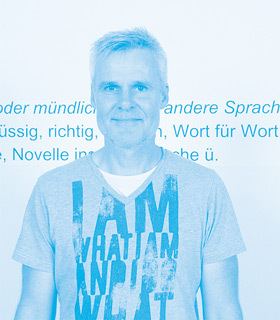 XTRA is retained as a brand for German translations. courses, or mobile applications: The training environment must be motivating and inspirational. The language plays a key role. As experts in the localization of e‑learning content, we make sure your e-learning courses are well received by their target audiences. We use translation memory (TM) systems for all translations. There are two decisive benefits to using such systems. Firstly, repetitions and similarities (fuzzy matches) are identified automatically. This harbors the potential to reduce translation costs significantly. Secondly, recurring terms and formulations are translated uniformly – even across multiple projects. Are you not tied to a specific translation memory system? In that case, we recommend using the leading TM system, SDL Trados Studio. As an SDL LSP Partner, we use the latest technology and can comprehensively advise and support our customers. Our international network consists of 36 exclusive translation partners. We offer translations into more than 40 languages – from Europe and the Middle East to Asia and Latin America. No matter where your target markets are and which languages you need: you get your localized e-learning content from a single source. 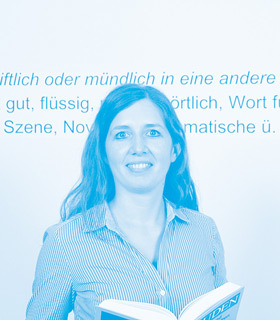 We produce the German version of your e-learning content at our company headquarters in Böblingen. 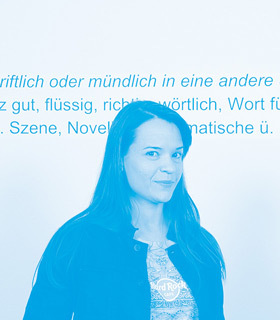 With 25 full-time employees, we are one of the market leaders for English-German translations – including Austria and Switzerland. From SMEs to global corporations: we provide localization of e‑learning content for a wide range of industries and target audiences. Many of our customers have worked with us for years – an excellent statement of the quality of our work. I’d like to express my appreciation for the strong support during last week as we had a high peak, your team supported to deliver 200,000 words in one week time. Thank you! Your translations have been very well received by Presales. In particular, they appreciate the good communication and excellent quality. So thanks a lot for that. You and your team did a great job on a few projects we did last year and the ones we did so far this year. Thank you. I wanted to connect you to smartspokes, a supplier that I have valued for long time. They have been doing translations for me across all European languages for more than 10 years and doing it well! I am in very good hands at smartspokes with all my translation matters. Fast, competent advice and translation. High-quality translations that are tailored specifically to the project requirements: that’s what our customers appreciate about smartspokes. From multi-lingual online training courses to international e-learning platforms – a selection of testimonials appears below. In recent years, we have localized over 100 e‑learning courses for Sony – quickly, at low cost, and into up to 29 languages. Sony places special value on using a uniform corporate language across all channels and markets. That’s no problem for us. We know how to use the customer’s reference materials and our technical tools intelligently. As a result, our translators always find the right tone. With subsequent on-screen testing, we ensure that the texts are translated appropriately for the context and are positioned correctly in the application. Incadea is the first choice for software solutions for car dealers and importers. Our customer sought an experienced localization expert to support the launch of their platform for e-learning and partner certification on the important Chinese market – and found smartspokes. With our help, the entire dealer network in China was trained on the platform after just a few weeks. In cooperation with our creative partner hydra newmedia, we localized a variety of e-learning courses in English for Benteler. The contents included skills management, performance and talent management, and even newly implemented SAP software. Benteler employs more than 30,000 staff worldwide. As such, it was extremely important to carry out the localization of the online training courses with the greatest precision and care. HUGO BOSS is one of the most renowned fashion companies in the upper premium segment worldwide and therefore places special demands on the quality of its training instruments. Whether it’s product trainings for introducing new fashion collections or sales trainings for in-store sales teams – the values of the premium brand must always be visible to the e-learning participants. We know about the special challenge of adopting the HUGO BOSS design language in a way that reflects the premium value of the brand in every single localized training in all 15 target languages. As a matter of course, our native speakers will verify and adapt all of our localized trainings in a final on-screen testing. In its humble beginnings just a small start-up, now a major long-distance bus operator in the whole of Europe: FlixBus. The young mobility provider‘s success is based on digitization and latest technology. When it comes to employee training, FlixBus also relies on innovative e-learning methods. For training the drivers of the FlixBus fleet we have localized interactive learning materials created with the Articulate Storyline authoring tool. We translated the learning modules into several European languages simultaneously and then our language experts checked and formatted them directly in Articulate Storyline. We also took care of dubbing the speaker texts so we could provide FlixBus with an all-round carefree package. Elektro-Material AG (EM), a wholesale enterprise from Switzerland, set itself the challenging goal of finding a long-term translation partner capable to meet the technical requirements of localizing e-learnings and to strike exactly the right note. For this purpose, EM developed a professional and structured selection procedure. The candidates were invited to participate in an evaluation process in which they were assessed by extremely rigorous selection criteria. Thus we are very proud that the choice fell on smartspokes. For creating their employee trainings, EM relies on the Articulate Storyline authoring tool and its Articulate Rise web app. We translate the courses into French and Italian for the Swiss market – and return them to EM in exactly the same format, of course. This relieves EM of the burden of formatting. From the conceptualization and development of e-learning courses to the localization of content – a sophisticated workflow from A to Z for the entire e‑learning production process guarantees high quality, while saving time and money. We work together closely with selected e‑learning experts. smartspokes is localizing 15 multilingual retail training courses in up to 29 languages for a smartphone manufacturer. The successful long-term collaboration with the international electronics group will thus continue. You can reach Böblingen by rail in 20 minutes from Stuttgart Airport/Messe or the central station. Our office in the RONDA Tower is about 5 minutes by foot from Böblingen station. 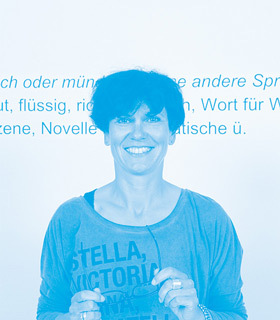 Copyright © 2018 SMARTSPOKES AG.